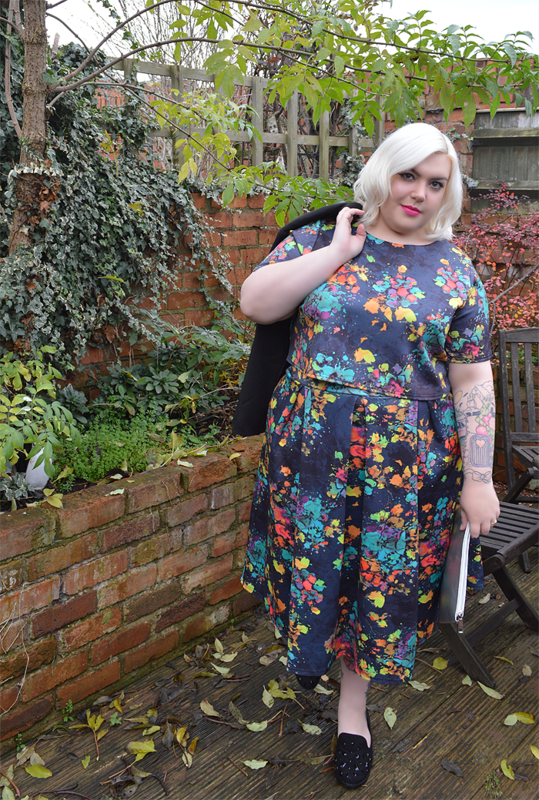 Painted Lady // Introducing the Missguided Plus Size Range - Sugar, Darling? 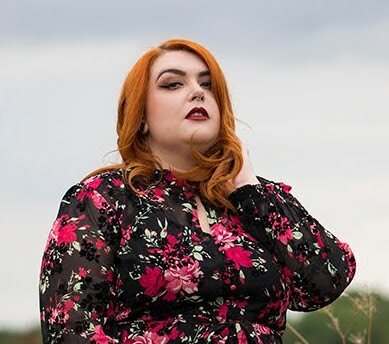 I'm sure you will have heard of the clothing brand Missguided at some point before now, but did you know that they've now launched a plus size range which is AWESOME?! I was excited when I heard that they would be doing a plus range but also a little nervous, it could easily have just turned out to be a mimic of similar company's plus ranges but thankfully they've brought some wonderful and unique pieces to the market. One of the things I was most excited about was that there is a whole section of coordinates that are all gorgeous. There have been a few coordinating sets about over the last year or so but I've not spotted anything similar to the ones Missguided have on offer and they have definitely not been at the same price point - you can get both the top and skirt of the set I'm wearing for under £35 which I think is amazing! The set itself is so gorgeous, I adore the paint splatter print so so much. Fun but refined and not a design you see every day, the fabric is also a wonderfully thick and stretchy scuba style. The jacket I tried is also really lovely and features an unusual scalloped edge that is really cute and unique. It's fully lined and could be worn for so many occasions be it casual or formal. I'm pleased to report that each piece I have tried has been generously sized so you may well get away with a size down when you order! I also know that this is a soft launch so if you were disappointed that the range currently goes up to a size 24 it's very likely that it will go higher with the next collection. 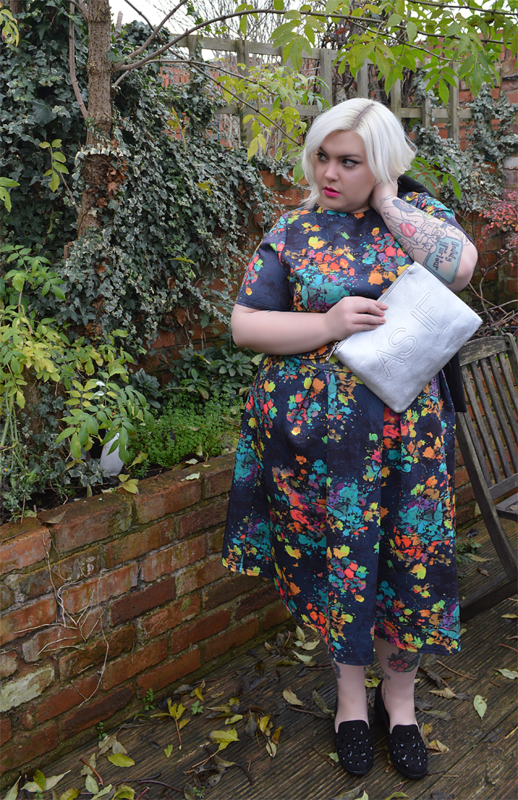 Like I say though, if you're over a size 24 it would still be worth giving some pieces a try due to the generous fit. Missguided also have a really great selection of shoes and accessories in at the moment to complete your outfit. 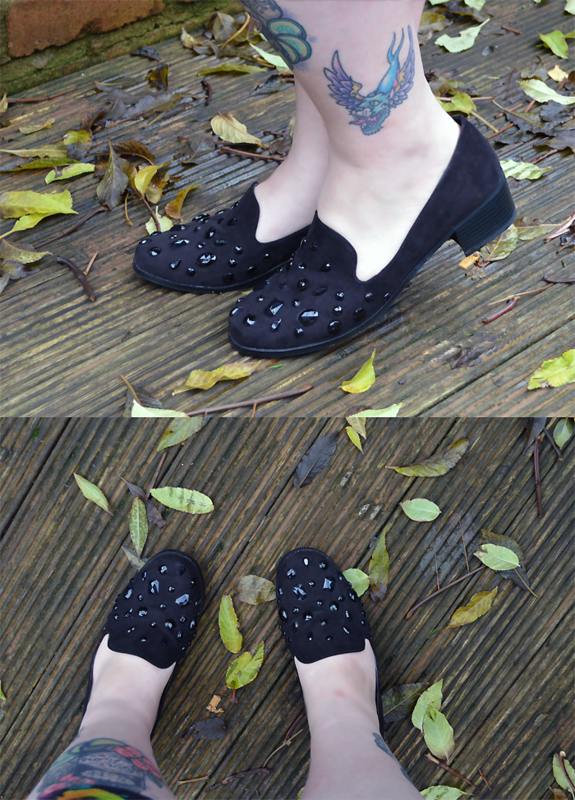 I decided to try the embellished heeled loafers and they are so comfy and cute! I've not seen anything like them anywhere else and they'll go with so many outfits, plus the low heel makes them really comfortable. 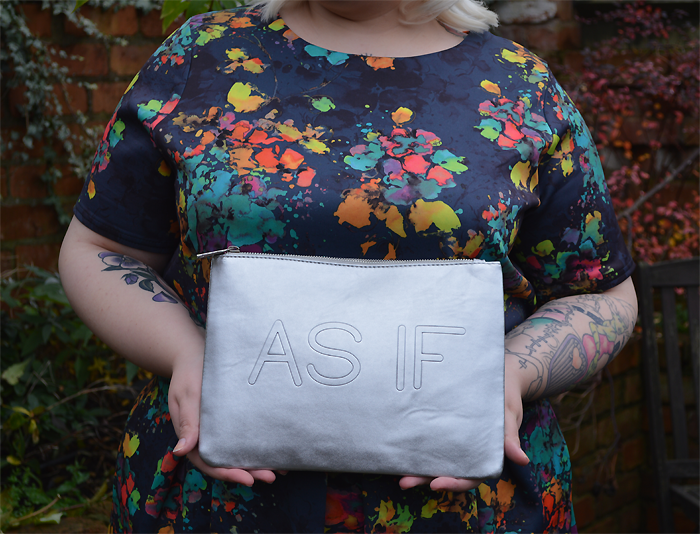 To finish off this outfit and because I'm a big Clueless fan I chose to give this super swish silver clutch a whirl - it's nicer than I was expecting actually, made from a nice metallic silver textured faux leather with the wording embossed in. It features an inside pocket and is a decent size so you can still get all your essentials in there plus a mini make up touch up kit so you can stay looking your best all night long. Alexa Embellished Heeled Loafers - Missguided - £15.99* on sale! 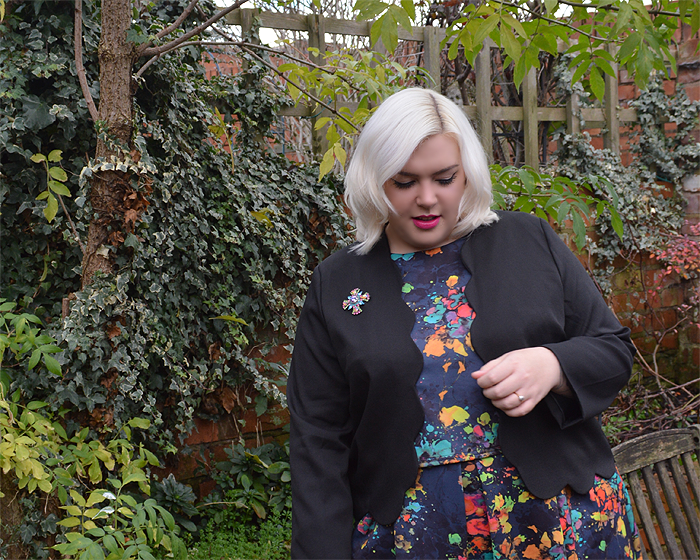 So as you can see I'm pretty sold on Missguided's plus size range, but what do you think? Have you tried anything yet?